Pulling a Pokemon for the second installment of Level-5's kid-friendly ghost-hunting series, Yo-Kai Watch 2: Fleshy Souls and Yo-Kai Watch 2: Bony Spirits come to the U.S. 3DS this fall, along with a ton of corresponding merchandise. 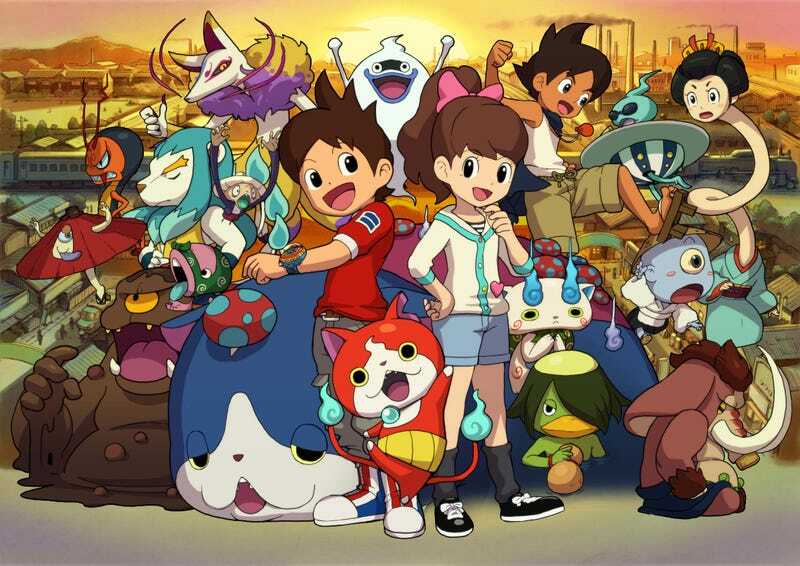 Already a massive hit in Japan (where they’re currently ramping up for Yo-Kai Watch 3's July release), Yo-Kai Watch 2 gives fans new areas to explore and more than 100 new Yo-Kai to befriend, including some that are exclusive to their respective game version. It’s a tried and true portable monster collecting game tactic meant to foster community and/or the purchase of two copies. The second season of the animated show arrives on Disney XD this summer, and Hasbro has a ton of new toys planned to coincide with the release of the two new games, including a watch with a tiny projector built into it, large plush toys and a trading card game. In short, Nintendo and partners are Pokemon-ing the hell out of it. We’ll check back in the fall to see if they’ve gotten any closer to recreating Japan’s Yo-Kai Watch fever in the States.